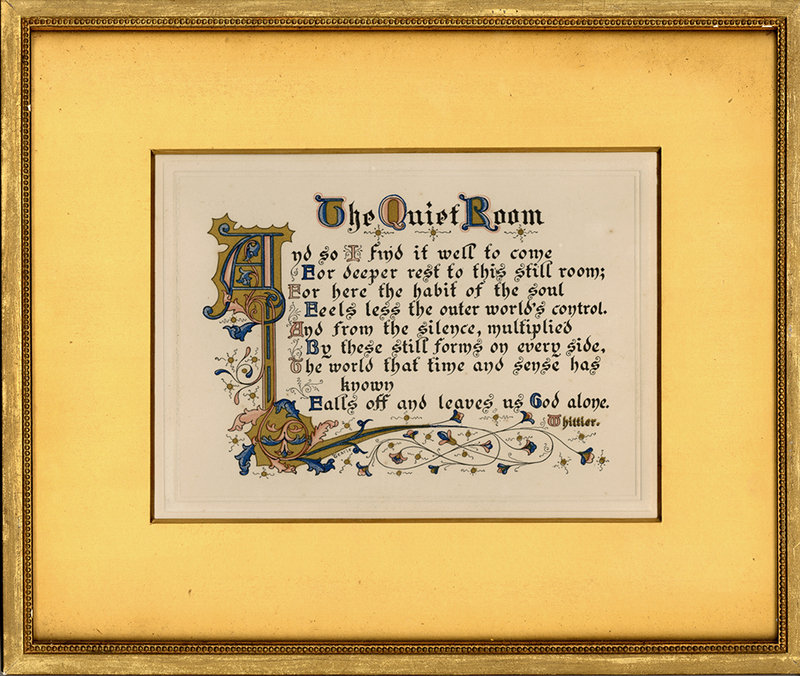 Framed copy of “The Quiet Room,” a stanza from the classic poem “The Meeting” by John Greenleaf Whittier. Illuminated and published on cards by John Henry Tearle. Longyear Museum collection. Feels less the outer world’s control. Reverse side of “The Quiet Room,” containing Mrs. Eddy’s handwriting and two notes attached by Minnie Scott. "My dear Mrs Scott Please accept this[.] M B Eddy"
A note from Minnie Scott about receiving and framing the gift. Minnie Scott in turn gifted the poem to her niece. Longyear Museum is always grateful for the donation of historical artifacts and enjoys researching the story behind each piece. The card was colored and framed by John Henry Tearle, a designer, illuminating artist, and publisher who worked in Roxbury, Massachusetts. Born in England in 1868, Tearle graduated from art school and served an art apprenticeship for seven years before working privately in the Boston area. Albert Nelson Marquis, Who’s Who in New England (Chicago: A. N. Marquis & Company, Publishers, 1909), 914. This eight-line stanza comes from the body of a longer poem written by Whittier in 1868 entitled “The Meeting.” In “The Meeting,” the protagonist and a guest emerge from a Quaker silent worship meeting to a beautiful day in nature. 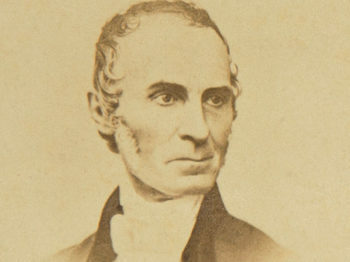 The guest argues that God should be sought in the freedom of nature rather than in the religious doctrine of a walled institution. The protagonist is sympathetic, but counters that nature can be distracting. She suggests that the stillness of the silent worship meetings allow one to commune more truly with God. The full text of the poem can be found here: http://www.readbookonline.net/readOnLine/7979/. A unique reminiscence by Minnie Scott was donated a few years ago to Longyear Museum by her family. 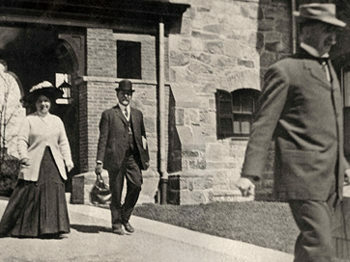 Other Minnie Scott reminiscences are on file in The Mary Baker Eddy Collection, The Mary Baker Eddy Library, Boston, Massachusetts. Mary Baker Eddy, Pulpit and Press (Boston: The First Church of Christ, Scientist, 1923), 54:28-30. Christian Science Hymnal (Boston: The Christian Science Publishing Society, 1960). A reproduction of this poem is available for purchase in the Longyear Museum store.